On our little backyard homestead, summer brings not only a bounty of vegetables and herbs, but also a plethora of eggs. Chickens respond to the longer days and increased light and are at their peak of production. This is one reason why commercial egg producers will keep lights on the hens, day and night. We live in San Diego and have never felt the need to add artificial light, but if you live more to the north, it might be something to consider for a few hours a day during the winter months. This year I have been having fun swapping or trading extra eggs with other local urban homesteaders. In exchange for eggs and some dairy products, we have received homemade jams, fresh salad, kombucha, lemons and lemon curd, AVOCADOS (our absolute fav), home-baked bread, homemade granola, fresh bay leaves, chicken broth and more. 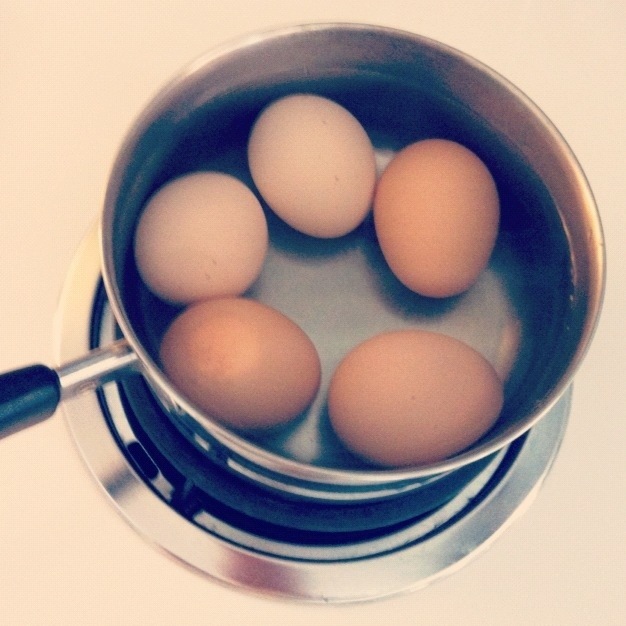 But one of my favorite ways to enjoy extra eggs is to hard boil a batch. Hardboiled egg yolk has also been a staple in baby’s diet, especially during months 6-10. Plenty of people use the following technique, but it was my grandmother who showed me how. Step 1: If using fresh eggs, wash them. Step 2: Place the eggs in a medium-sized pot. Try to have enough eggs so that they are somewhat cozy, without too much room, and only in one layer. 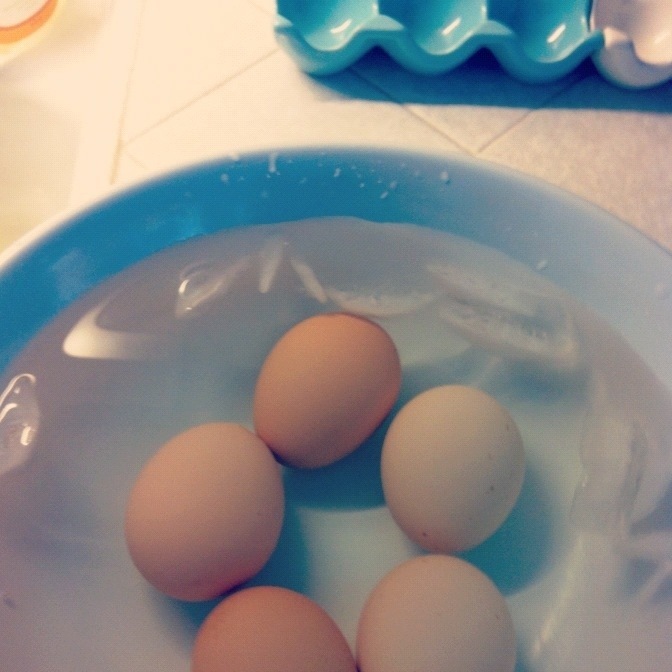 Step 3: Cover the eggs in cold water. Step 4: Put the pot on high heat and bring to a boil. Step 5: As soon as the water boils, take it off the heat, cover with a lid and set a timer for 12 minutes. Step 6: Have a bowl ready with cold water and ice. As soon as 12 minutes are up, pour out the hot water, rinse once with cold tap water and then transfer to the ice bath. If you leave them in the pot to cool, the water will quickly heat up again from the residual heat in the pot and continue cooking the eggs. 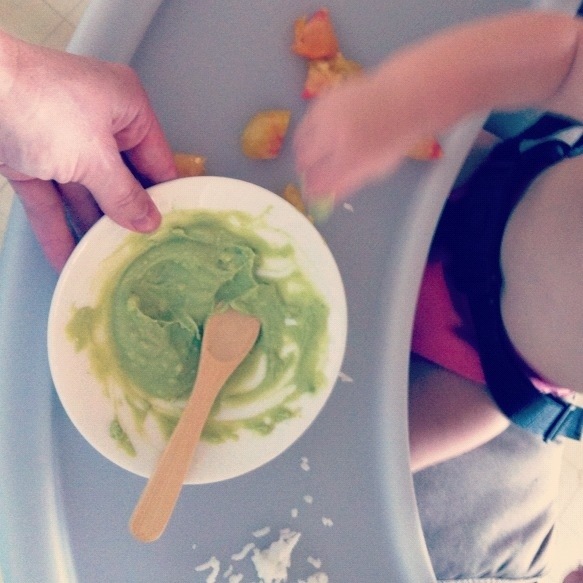 For baby the yummiest combo is half a hardboiled yolk, mashed avocado and breastmilk. My baby is “so over” purées at 11 months but will make an exception for this silky, creamy concoction. No special equipment needed other than a fork for mashing, making this a great combo to take on the road. 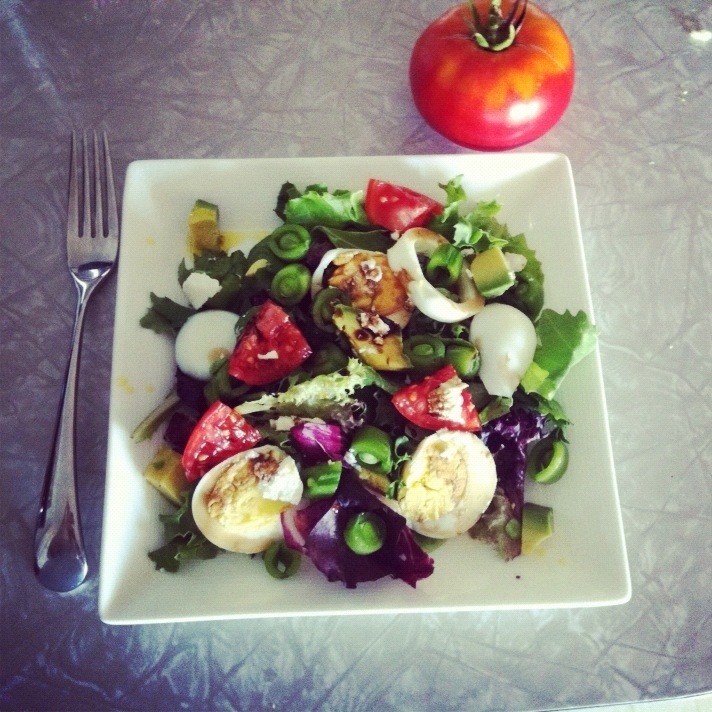 My go-to summer lunch includes a green salad topped with sliced hardboiled eggs, an artisan balsamic vinegar and olive oil and fresh veggies. You can use any dressing you like, but try a really good balsamic and oil. There is something magical about the way the bits of yolk mix with the vinegar. Perhaps it is emulsifying a little in the mouth? This salad has spring mix, avocado, hardboiled egg, tomatoes from my garden, snap peas from my mom’s garden, an espresso balsamic, blood orange olive oil and a little truffled goat cheese. The oil and vinegar are from a local shop. Occasionally fresh eggs will be hard to peel. One tip is to reserve the oldest eggs in your fridge for boiling. Papa Bird shares that thin shells can be a symptom of a calcium deficiency in the chickens. A simple remedy is to feed the hens shells that you have rinsed and crushed up. Since he has been doing that our eggs peel easily now. Egg yolk can be constipating for babies. At one point we had to cut back from eggs daily to every other day. And finally: Papa Bird’s tip on how to tell if an egg is raw or hardboiled. Try to spin it like a top… if it spins, it’s cooked. If it wobbles and can’t get a decent spin, it is raw. It has been a little over two years since our family grew to include an average of five chickens. Having hens means there is always something to make for dinner. I can’t tell you how many times I’ve thought there was nothing to eat in the house and was able to pull something delicious together thanks to our eggs. Backyard chickens really do save the day–or at least dinner. This is more of a template than a recipe. 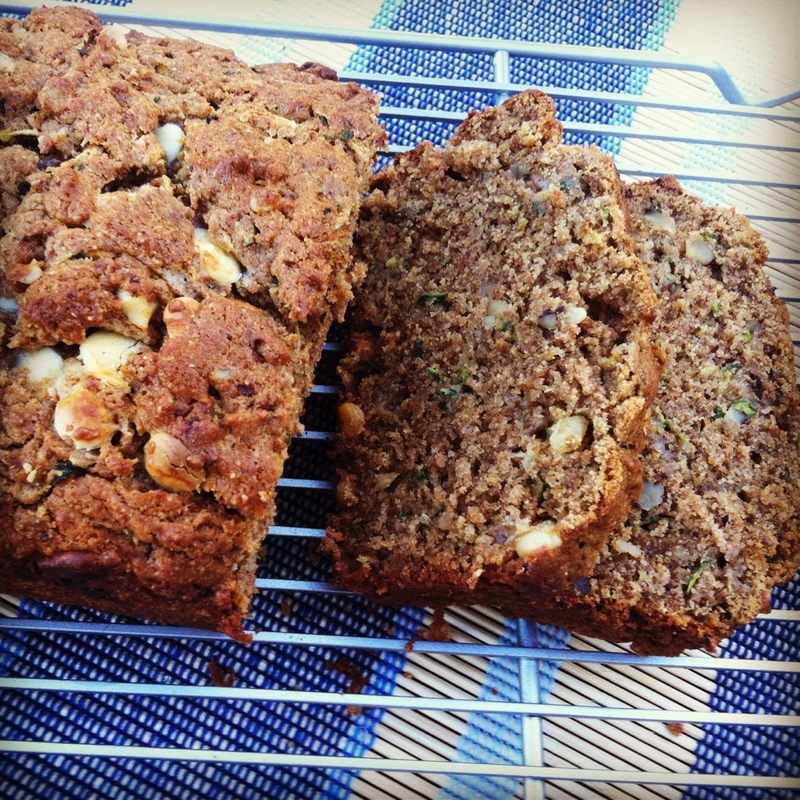 Feel free to improvise with the ingredients and make it your own! Step 3: Beat eggs with a fork vigorously until light and fluffy. 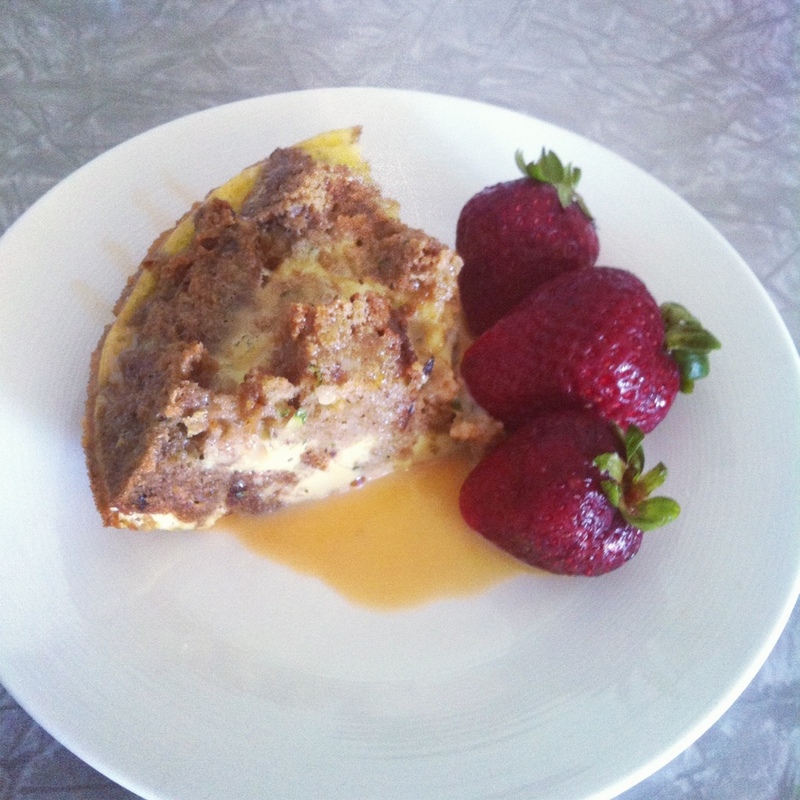 Use at least 2-3 eggs per serving. You want to have enough eggs to cover all the filling that is in the pan. If you need to use more eggs than you will eat that night, do it. 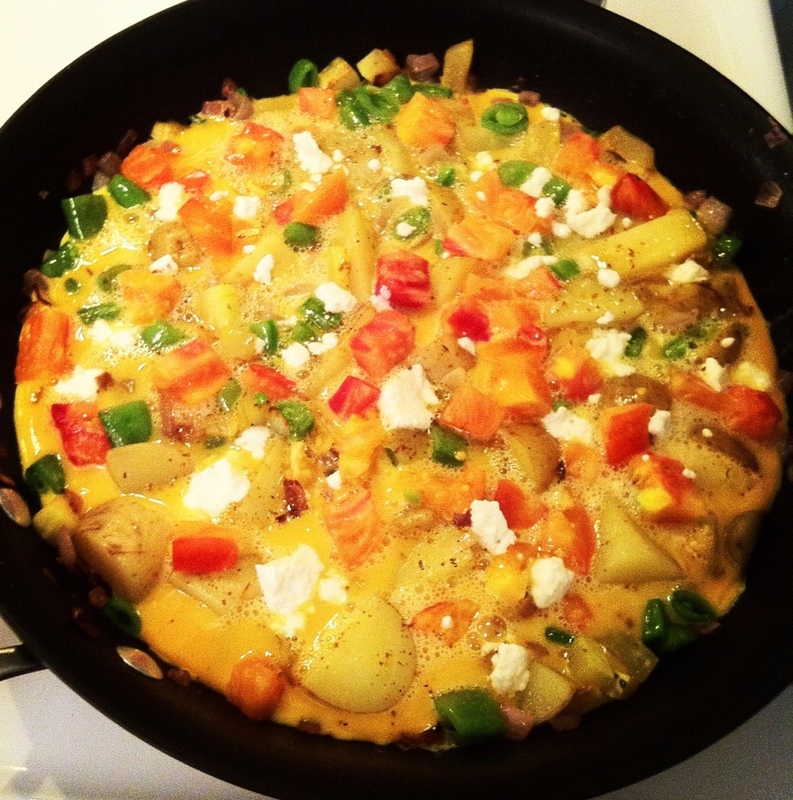 Leftover frittata is great. If you run out of eggs and need a little more volume, add in a little milk. Season with salt, pepper and spices and then pour into the pan. Turn the heat down to low. Cover the pan with a lid and cook on super low heat until the top appears set. If you have an oven proof pan (i.e. the handle is entirely metal and not covered in rubber) you can transfer it to the oven and broil a few minutes to cook the top. Serve cut into wedges. Goes great with a green salad. If your zucchini grow a little too big, like ours often do, I recommend peeling them and cutting out the seeds at the core. The rest of the flesh will still be good. Want to know a trick for fluffy eggs I learned in Spain? When I was an exchange student I watched the señora I lived with make tortillas like this: she tipped a bowl so that all the yolks drifted to one side. Then she beat the side with the whites with a fork vigorously until they were completely broken up. Next she incorporated one yolk at a time. Essentially, she beat the whites alone without going to the trouble of officially separating the eggs. I’ve done the same ever since. Pediatricians recommend avoiding egg whites until baby is one year old. We have given her plenty of egg yolk since around 7 months but we still do not feed her whole eggs. I often reserve the filling just before pouring the eggs in. 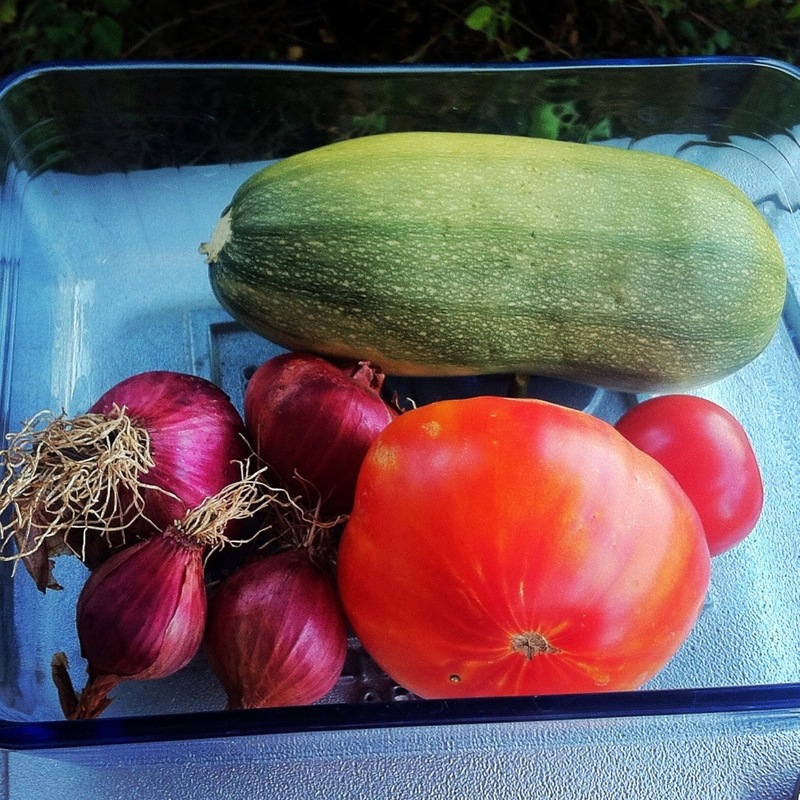 Potatoes, zucchini and other sauteed veggies make great homemade baby food! In our case this week I wasn’t fast enough. She was getting super tired and the only thing done was the boiled potatoes. Lucky for her she likes baby mashed potatoes…. Scrub organic potatoes until clean. 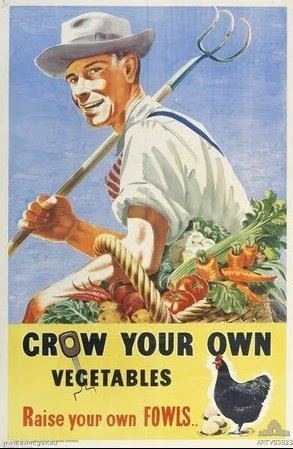 Potatoes are a priority to buy (or grow) organic, even if you don’t normally do, since they are sponges for pesticides. Roughly chop and boil in water until they are fork tender. Drain and let cool. Pull off the skin. Mash them in a baby food mill, with a potato ricer, or with a fork. Add a good helping of breast milk until they are smooth and creamy. Cauliflower is also yummy mashed, either alone or mixed with potatoes.